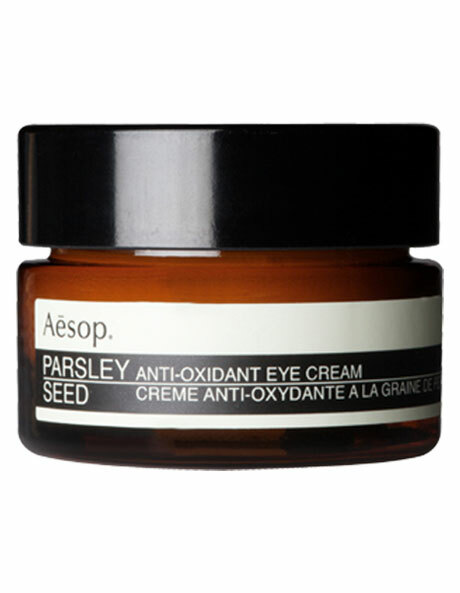 Designed for the delicate skin around the eyes, this Parsley Seed Anti-Oxidant Eye Cream by Aesop delivers targeted nourishment to the sensitive eye area. Formulated with skin-boosting vitamins C and E and parsley seed extract for exceptional antioxidant hydration, the luxuriously rich cream absorbs rapidly without greasy residue. Suited to all skin types. 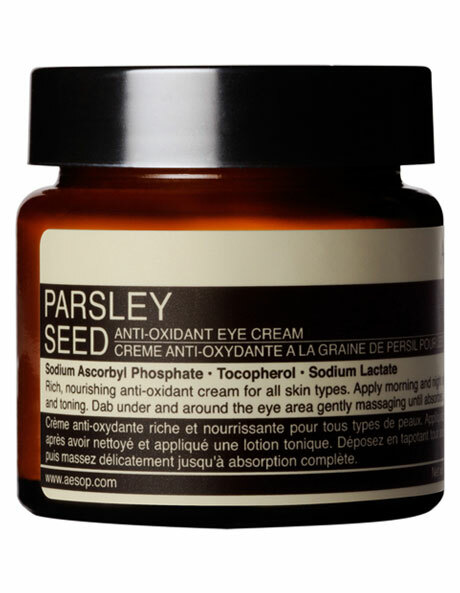 Gently dab a small amount onto the skin around your eyes, and massage gently until absorbed. Those seeking the ultimate hydrating and anti-oxidant fortification can apply the cream to the entire face; for this we recommend the 60ml sized product.